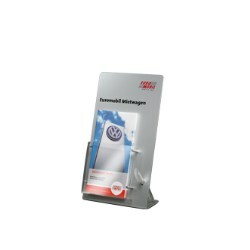 Automotive (Manufacturers & Suppliers)Wherever high-involvement products and end-customers come together at the point-of-sale, displays made by DEINZER can be found. At car dealerships in particular, the use of consumer-oriented information pillars and displays at the POS are an essential sales element. 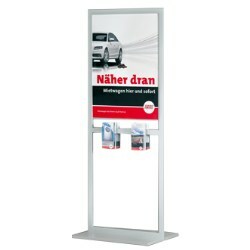 Also in the workshop or car hire firm, services and products find the direct route to your customer with displays made by DEINZER. The interaction of trade and industry is expressed in category projects. Based on shopper insights, we develop customer-specific solutions which at the same time represent an uplift for the entire category. Here the focus is on the structuring of the product category and its upgrading. A few practical examples can be found above. For your catering business, we will whet the appetite of consumers for your brand. With appealing display solutions that attract attention and activate impulses, we will present your product not only in an appealing manner, but also in a unique manner. Do-it-yourself stores are a centre of attraction for self-confident consumers who wish to save money when they shop. True to the motto "self is the man / woman", consumers at do-it-yourself stores prefer to take matters into their own hands. 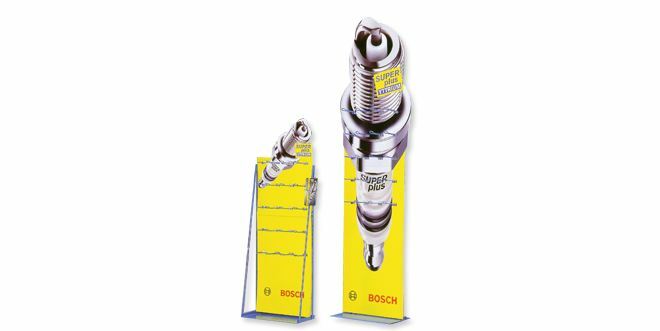 With a display you can generate spontaneous purchases and increase the sales of product novelties with sales promotion measures. Whether potting compost, batteries or tools - leave it to us! There are so many personal hygiene products on the market that they can easily be mistaken for others. We develop guidance systems for initial placement, as well as stand-alone solutions for the brand-specific presentation of your products. The sophisticated shopper of today is no longer satisfied with outmoded shelves or abandoned "rummage boxes". What counts today is the attractive look and creative form of the product presentation. You can also satisfy this demand with POS solutions made by DEINZER. Contact us today! With the HOLOCO display from DEINZER your product is exactly where it belongs – in the limelight! Your advertising messages and product information appear all around your real illuminated product. The fascination of real products and virtual content floating in mid-air guarantee you the image transfer you want and ultimately significantly increased sales. Use the presentation of goods at large sport events as an emotional and promotio- nal highlight at POS. Table displays, perma- nent displays or club shop articles for sports clubs, Bundesliga clubs or trade partners – we develop ideal POS solutions for you. With us your product will take center stage thanks to our over 40 years of successful POS sales promotion experience. In the field of paper, office supplies and stationery you will frequently come across displays made by us - in specialist stationery stores, retail chain stores, bookshops or department stores. 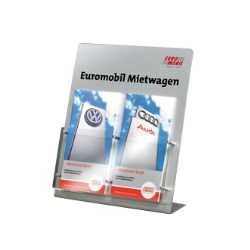 Sales of seasonal articles in particular are promoted by DEINZER displays. Whether for the presentation of job application portfolios, adhesives or exercise books at the start of the new school year, we develop displays for your products. The petrol station is becoming increasingly important in the food and drink service business. The mobile customer of today not only wants to fill up with fuel, but also "food & drink". The changes to the purchasing intentions of petrol station customers are taken into account with ingenious shop concepts and convenience stores. From the chocolate bar to fuels and lubricants, we draw attention to your product with eye-catching displays. The range of items on sale at pharmacies is becoming increasingly dominated by OTC products and products with a cosmetic effect. Every product novelty wishes to be noticed as quickly as possible by the consumer. 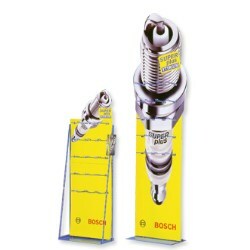 With our displays you provide your product with the necessary attention at the point of sale. 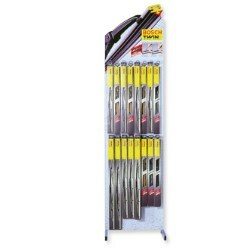 Why not take advantage of the opportunities for a direct approach to your customers at the POS with displays made by us? Renowned brands place their trust in our experience. You can do so too. DEINZER develops specific solutions for various types of specialist trades. 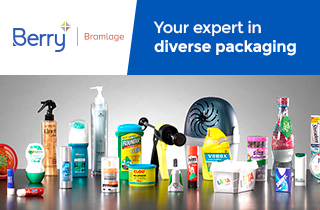 From household appliances to hair care, systems produced by us are in use in specialist shops. Products which have to be explained in detail require effective advertising. We present them in a manner which promotes their sale. The latest technologies, such as integrated LCD displays or space-saving LED lighting, make it possible to present products in a new dimension. Contact us for more details. Whet the consumers' appetite with a display that can do more than just look good. Whether food or non-food products, primary or secondary placement, we develop solutions and offer you assistance with strategic planning. Companies from a wide range of industries put their faith in displays made by us. You can do so too.